Scene of the Crime with Author Michael Stanley! I was only a few pages into A Carrion Death when I knew I was reading something special. 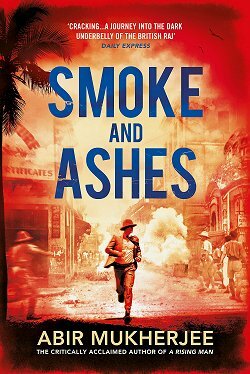 The writing team of Michael Sears and Stanley Trollip have created a solid police procedural series set in Botswana (hence all the recommendations that begin "If you liked The No. 1 Ladies' Detective Agency....") with one of my favorite police detectives, David Bengu. Don't call him Bengu, though-- everyone knows him as "Detective Kubu" (hippopotamus) because he's large and in charge. The third book in the series will be available here in the U.S. on September 6, and I'm hoping you'll all get your hands on a copy. If you like to read series in order (like I do), you'll have a chance to win copies of the first two books, A Carrion Death and The Second Death of Goodluck Tinubu-- but more about that at the end of the interview! Now let's get to this very special interview. It's what I call a "twofer" because both men answered my questions. This is going to be fun! Michael: Actually I don’t remember the title! It was set in a fantasy world and written for children but in an adult fashion with the world and plot consistent. The characters were real and the issues mattered. I hadn’t experienced something like that before. 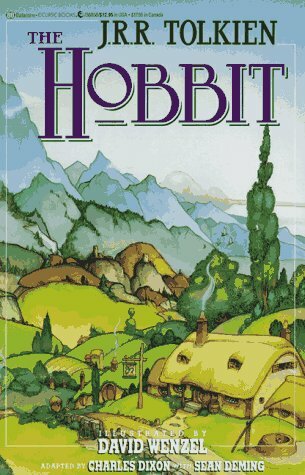 The next book I read – a few years later – was The Hobbit and the same characteristics drew me into Tolkien’s world. Stanley: The first books I read were probably Enid Blyton (The Noddy and Big Ears series, and then the Famous Five). As I grew older I was fortunate to go to a school where reading was encouraged strongly – we even had a Silent Reading period every afternoon after lunch. Then the books I read would have been the Mowgli stories, the Hardy Boys, and so on. 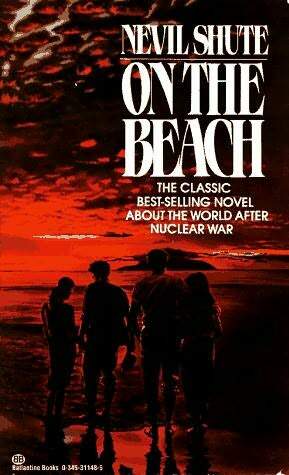 While at school the book that had the greatest impact on me was On the Beach by Nevil Shute. I finished the book in the wee hours and turned off the light not expecting to wake up in the morning. When I did, I was very disoriented. Michael: I love to be in the African wildlife bush areas. There is a special peace – almost like being in another world. At home I enjoy food, wine and good company with a little Bridge thrown in on the side. Stanley: I play a lot of golf and enjoy hiking. I also spend as much time in the bush as possible – it is a wonderful place to regenerate. Wherever I am, I am reading, eating, and enjoying good wine. Michael: I’d suggest you visit the prison. No, I’m serious! The Fort as it was called in its Apartheid hey-day is now a museum, but the prison itself is preserved to illustrate the brutality of that time and philosophy. It’s a sobering experience, but it gives you an insight into where South Africa has come from and how amazing it is that it’s where it is today. 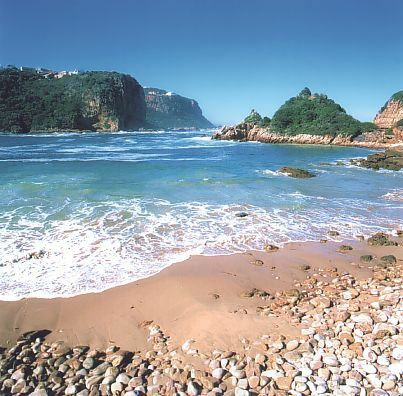 Stanley: I have two hometowns – Minneapolis and Knysna, South Africa. In Minneapolis, I would take you for a walk or bike ride along the Mississippi. One can go for miles without really seeing anything of the city itself. The paths go through forests with cliffs towering above. Spectacular for being right in the middle of a modern metropolis. For dinner, we would eat at Kikugawa – a wonderful sushiya that I have been frequenting for 30 years. In Knysna, I would suggest a walk along one of the lovely Indian Ocean beaches looking for whales or in the Knysna forests, where a small herd of Knysna elephants still live. For dinner I would take you to the Firefly – with its mouth-watering aromatic Southeast Asian cuisine, accompanied by a decent South African Gewürztraminer wine. Michael: A hard one because there are so many great characters. I recently discovered Fred Vargas’ Jean-Baptiste Adamsberg and I love his vulnerability and humanity. Maybe I’d choose him. 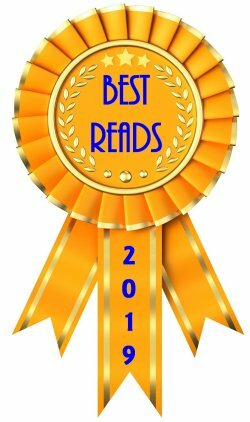 Stanley: It is usually the one I am reading at the moment, so my vote goes to Adrian Hyland’s Emily Tempest. Michael: I’d written some science fiction short stories as a student (thankfully unpublished) and a number of scientific research articles as part of my work as an applied mathematician. Stanley: While at school I wrote some poetry, which was published in the school magazine (I was the editor! – just kidding). Being an academic I wrote professionally, always in collaboration. In addition to the normal academic articles, I have written a number of graduate textbooks on using computer technology to improve teaching and learning, as well as books on Human Factors in Aviation. Michael: I remember seeing a whole shelf of them displayed at a bookseller near where I live. I looked this lot open-mouthed for a few minutes and thought: “They’ll never sell all these books!” They didn’t. 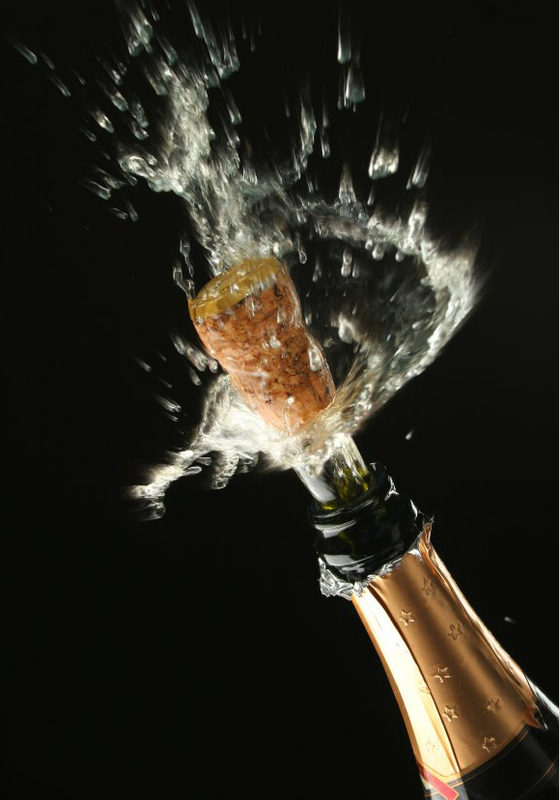 As for the celebration, a bottle of champagne was involved. The rest is a bit hazy. Stanley: When I first saw A Carrion Death on the bookshelves, I was amazed and proud that we had accomplished something so exciting. My celebration also involved champagne, but not the same bottle as Michael, since he was in Johannesburg and I was in Minneapolis. Stanley: Probably the most embarrassing moment was when a gentleman came up to the table at a signing and asked: “Please could you inscribe the book to my dear wife Cathy.” I obediently wrote: “To my dear wife, Cathy” and signed it. Michael: I think my generation will have a mix of ‘real’ books and e-books. The next generation will probably move almost exclusively to e-books. In terms of what it means to us as published authors, it may not be a great deal. 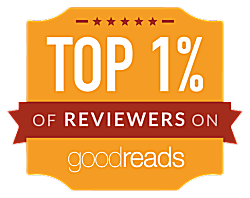 We probably have enough readers who will follow our books in both media. My concern would be for great new unpublished authors. How will we hear their voices over the din? Stanley: Although I love having real books in hand, I am also a great lover of eBooks. Authors can make books available for a dollar or two, which is little enough for readers to buy speculatively. The interesting thing is that if we make a book available through Amazon or some other outlet, we probably earn more in royalties selling a $2.00 eBook than a $14 trade paperback traditionally published. Of course, eBooks are a wonderful way to get out-of-print books back into circulation. Thank you so much, Michael and Stanley, for spending this time with us. Here's to great success with your latest book, Death of the Mantis! 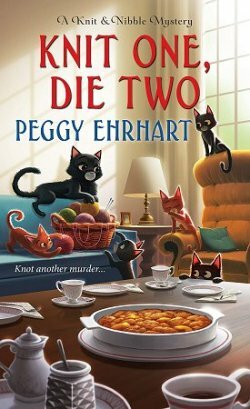 I promised to tell you how you could win copies of the first two books in the Detective Kubu series at the beginning of this post, didn't I? 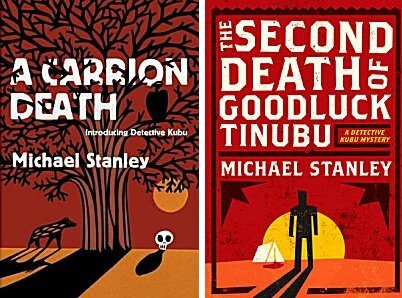 I've been thinking about having the occasional giveaway here on Kittling: Books for a while now, and when the authors very graciously offered me two sets of the first two books in the series, A Carrion Death and The Second Death of Goodluck Tinubu, I knew the time had come. What better way to start my very first giveaway than with one of my favorite series? Be on the lookout for the entry form beginning Tuesday, August 23-- and spread the word! Two lucky people will win the first two books in the Detective Kubu series-- and the books will be personally autographed for the winners by the authors. How great is that?!? The two winners will be announced on Tuesday, September 6. Mark your calendars! The entry form for the giveaway will be posted on August 23! Which two of you will win these books? I agree that was a fun interview. 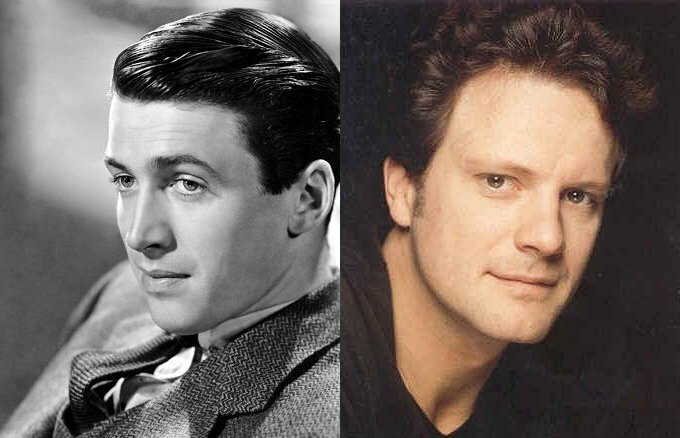 I used to follow a blog that had contributions in rotation by several authors, these two very witty men included. I've had them on my wish list for a long time now so I'll be watching for the entry form. That was a wonderful interview with two delightful authors. Leslie-- I hope you'll be entering the giveaway!